The other day I participated in a Twitter chat regarding social media education and training. As an individual who operates a social media training and consulting business, as well as teaches a social media course part-time at a local college, I have many unique perspectives and experiences from which to draw upon. While I agree wholeheartedly that higher education should focus on analysis, synthesis, and evaluation, but how do you develop a program dedicated to a topic that is consistently in flux? As I mentioned, my perspective is coloured by my views of social media, and perhaps I am too close to the subject matter. Let’s take a minute to step outside my world and investigate an alternative industry: medical science. Firstly, I know very little about the medical science sector; my formal education peaked in grade 11 biology. What information I do possess, has been acquired through the media’s perspective of latest-and-greatest medical breakthroughs, which seemingly is daily. A new drug. A new procedure. A new technology. A new doctor. A new disease. A new research project. If this is the case, how does a professor teach a subject, like medical science, that is always changing? Sound familiar? 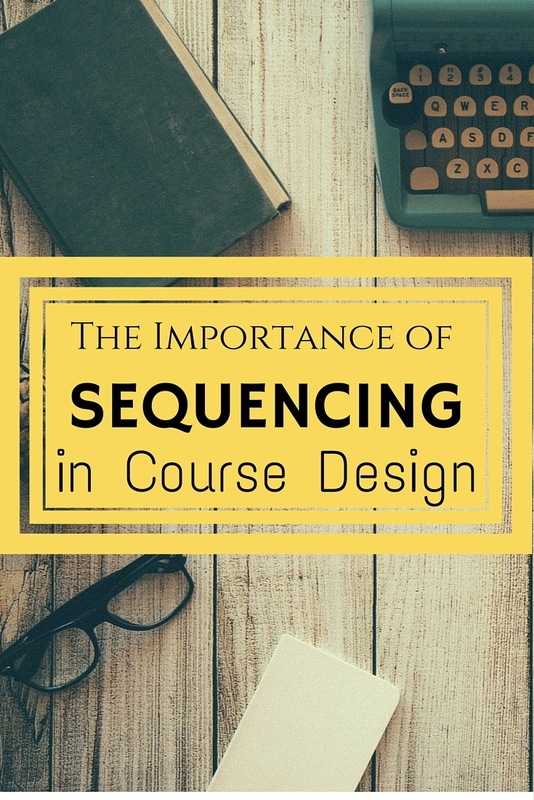 This brings me to the instructional design process, specifically the concept of sequencing, which is the “efficient ordering of content in such a way as to help the learner achieve the objectives.” Having taught social media since 2009, I have significant experience sequencing information in a logical format. This is the part of my job that consumes the most time, thought, and energy. With my experience, I have developed the ability to anticipate questions and problems, given the material that is being discussed. When sequencing concepts, I have found that ordering by familiarity, teaching the most familiar concepts before moving on to more remote, is the most effective method of adult learners. That said, regardless of subject matter, the basic building blocks of knowledge are essential, which is why courses like Marketing 101 and Biology 101 still exist. While learners may be unenthusiastic with the simple information and concepts, it engages their past experiences and enhances the learning experience. We live in an ever-changing world. As a result, it is important we learn basics skills related to a subject (e.g. Social Media 101) before pursuing highly specialized subject matter (e.g. Conversion Tracking Pixels in Social Media Advertising). You have to learn to walk before you can run. Today I officially completed all the necessary requirements for the fourth of five required courses to obtain my Bachelor of Education – Adult Education. (In case you’re wondering, I am officially done as of July 6th 2013). As I progress through the program I continue to learn about the different learning theories and instructional approaches. The result of learning is a change in the learner’s behaviour (Merriam et al., 2007, p. 276). Personally, I subscribe to a postmodernism perspective in which there are “no absolutes” and meaning lies within interpretation (p. 260). This clearly explains why I am an entrepreneur! However, my business’ philosophy is a behaviourist perspective in which elements of the environment shape learning and learning is displayed through a change in behaviour (p. 278). I provide social media training such that social media administrators’ actions are more efficient, and messages are more effective. Therefore, the social media training I provide seeks to improve an individual’s behaviour as it relates to social media tools like Facebook, Twitter, LinkedIn, and Pinterest. Many people associate the behaviourist philosophy B.F. Skinner, who studied ‘Operant Conditioning,’ which “reinforces what you want the individual to do again; ignore what you want the individual to stop doing” (p. 279). This complements the instructional approaches that I have integrated into my business model and training approach. Although I didn’t appreciate it at the time, I have developed a true appreciation for David Merrill’s First Principles of Instruction, in which demonstration, application, activation, integration centre around a specific task. Before commencing a training session I like to gain an understanding of the individuals existing skill set. Through a needs assessment discussion, I learn about the learner. What are their questions about social media? What is their skill level? What is their business’ current usage of social media? Through this discussion learners are required to explain their prior knowledge and/or experience. The second step is the demonstration I provide to learners.When I train clients I show learners the sequence of actions as well as the final result. This demonstration helps to develop a general understanding of the sequence or flow. The third step is the application of the actions shown in the second step. My learner-centered instruction implements hands-on learning, which focuses on the learner’s direct experience, as well as guided practice which involves the learner practicing a specific skill with assistance from the teacher (me!) only as needed. I reinforce the learner’s skills through positive verbal reinforcement as required. These instructional methods are weighted heavily in the behaviourist philosophy. Finally, given that learners will be implementing the newly acquired skills to maintain a business’ social media presence, learning from integration is activated. It is important that learners acquire the skills and confidence to proceed with their predetermined social media strategy to fully utilize their skills. I encourage individuals to be proactive and to ask questions if they face challenges. 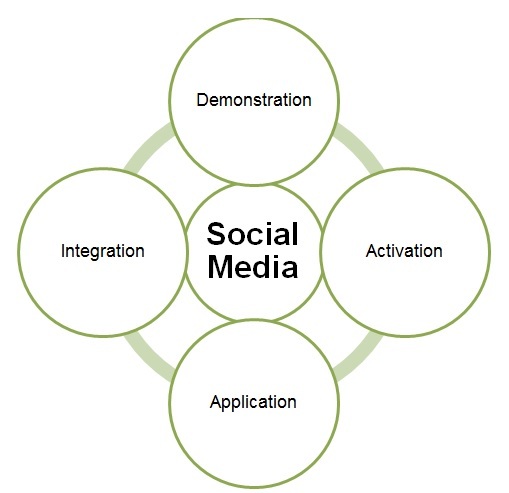 I am delighted to provide social media training solutions to businesses. I look forward to meeting you soon, and helping your employees become more effective and efficient! Ever have a disagreement with a colleague or manager? Well, you would have enjoyed this week’s discussion on conflict in the workplace. King, Hebl & Beal (2009) state that conflict “is the process resulting from the tension between team members because of real or perceived differences” (p. 265). This definition of conflict identified two key elements. Firstly, that conflict is a process, and second, it occurs because of real OR perceived differences. Because conflict is defined as a process, I presume there would be a start, middle, and end. It should not be assumed that every conflict concludes with termination of employment. Rather, workplaces should develop standards of practice to deal with workplace conflict. I have experienced conflict at each place of employment since I was 16 years old. This is an indication that no workplace is immune to conflict, and needs to be cognisant of potential challenges and identify solutions. Employees should be aware of how to deal with conflict, whether it means assertiveness training, or speaking with a human resources manager. The definition also states that conflicts occur because of real OR perceived differences. One of my favourite sayings is, “Perception is reality.” While the conflict may not even be real, if it is perceived by the individual(s) as real then it is real. I am sure you can all think of a specific case, and I can think of several, in which there is no problem but one is fabricated through employee imaginations and assumptions. How does an organization deal with this? Is it about creating an open and transparent organization? Does it require employee conflict resolution training? In a second article it was identified that the best performing groups/teams were those in which equity was present, not to be confused with equality (Mannix & Trochim, 2008, p. 184). High performing teams discovered “ways for all members to contribute given their constraints” such that each member felt valued and respected (p. 182). I think this is a stepping stone towards a solution. Teams should be working together for a greater good, rather than manipulating and fighting with other members… sounds like the making of democratic organization if you ask me. Finally, it’s done; assignment #2 was submitted earlier this week. I have to admit that this assignment was a struggle. There was so much information, but such a small page/word limit. It’s times like this when I remember being in elementary school and complaining about 150 word requirements. Fellow students and I would painstakingly count each word to ensure we met the word count threshold (Note: Kids, this was before computers and the word count feature). Now 20 years later I am complaining that 8-10 pages is not enough space! That said, the research required for this assignment opened my eyes to new organizational situations and considerations. While younger employees have grown-up in a technology savvy society, older adults have not had the same opportunity. Rizzuto (2011) coined the term “Grey Digital Divide” as the “gap between technology use and access between older and younger workers” (p. 1613). This gap should not assume disinterest among the older generation. In fact, many older workers are interested in technology and have a desire to upgrade their skills and expertise. Mayhorn, Strong, McLaughlin & Rogers (2004) believe “adults are actively seeking training programs” and that there is “an increasing demand and interest in e-learning courses about computer technology” (p. 186). As a result age should not be considered a factor to an unwillingness to participate in workplace training opportunities. In reality, adults are actively seeking learning opportunities as they relate to technology. I had first-hand experience of this occurrence this week when I held my first full-day social media training seminar. The room was filled with individuals who were 40+ and seeking information about this new online marketing medium. They were active participants, who were eager and excited to learn. I am certainly happy to learn that adults are willing to learn and try new opportunities as they relate to technology. This positive mentality will further develop my social media training business. In the midst of preparing for Assignment #2, which is a formal essay discussing challenges, opportunities and solutions to our group’s case study, class discussions focused on professionalism and standards of practice as it relates to adult education. Unlike from elementary and high school teachers who must adhere to the Ontario College of Teachers Foundations of Professional Practice, adult educators do not have a similar professional requirement. This topic flared discussions on both sides of the table – those who agree, and those who didn’t agree. “I am torn. While I believe regulatory bodies and policies are important, a part of me dislikes the red tape and rules that come along with it. That being said, I believe in the greater good for the whole, so if that means an annual fee/exam/application, I think it is worth it. That being said, I do agree it would be beneficial for adult educators to adhere to a regulatory body. I’ve heard from fellow students that there would be support from students, educators, and organizations alike. My question is: Who is responsible for creating such organization? And, how long will it take?